The Marine and Shoreline group just formed in February o f this year and has not got a regular meeting time or location yet. This is being worked on currently so watch this site for updates. 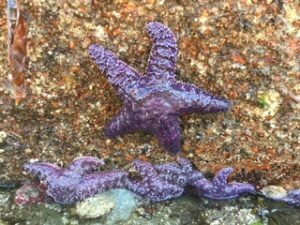 However we have had one meeting to assess member’s interests and one very successful field trip to explore different habitats and organisms at Air Force Beach and assess the health of Sea Stars at this location. 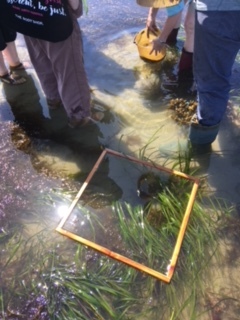 Another outing is scheduled for Bates Beach in mid-June to conduct an intertidal survey and examine shoreline deposits and erosion. We plan to have future presentations by knowledgeable naturalists on such topics as marine flora and fauna and factors affecting them, processes impacting our shoreline, First Nations use of marine resources and others; and will be exploring close to home with occasional outings further afield. For further information please contact Randal Mindell at cvnshoreline at gmail dot com.